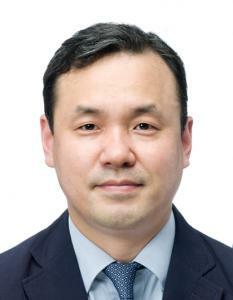 Dr . Eun Bong Lee is a professor of medicine at department of Internal medicine of Seoul National University College of Medicine, South Korea. Dr. Lee graduated with a medical degree from Seoul National University and obtained his doctoral degree at the same university. Dr. Lee also worked as a research postdoc fellow at Lowance Center for Human Immunology in Emory University, USA. As a physician-scientist, Dr. Lee’s main research interests and specialty focuses around rheumatoid arthritis (RA) and other rare autoimmune diseases including systemic sclerosis and Behcet’s disease. Dr. Lee’s research group focuses on immunopathogenesis of autoimmune diseases in the respect of genetics and immunologic aberration. His group aims to discover the genetic and immunologic causes of the target diseases through their extensive clinical database, clinical samples and up-to-date analysis system. Recently, his group is also taking part in important global clinical trials for novel drugs for refractory rheumatoid arthritis. Dr. Lee has worked as a principal Investigator in more than 20 phase I, II, III and IV studies. Dr. Lee is an author of more than 150 papers and his recent major publications include clinical application of JAK inhibitor to rheumatoid arthritis (RA) and vaccination strategy in RA.